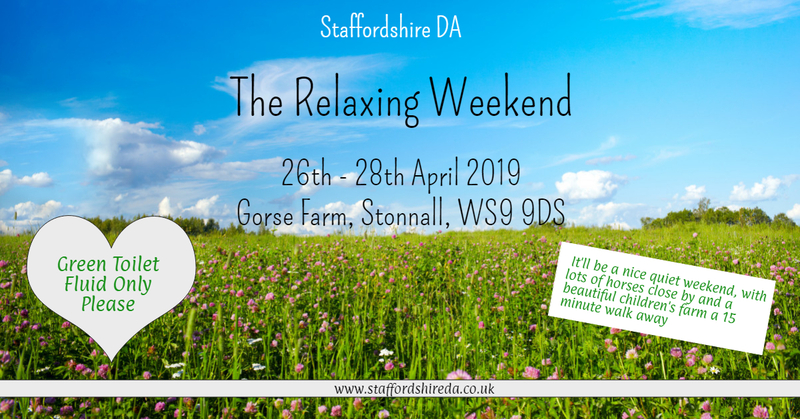 Staffs DA invite you to Gorse Farm, Stonnall on the weekend of 26th to 28th April. Site opens at 3pm on Friday. Gorse Farm is a short walk from the village of Stonnall which has a couple of pubs. Directions At A5/A461 Muckley Corner island, cont on A461 for approx 2m. At t-lights tn L onto A452, then tn R at 2nd x-rds. Site on R after Farm Entrance look for SDA signs.